Tanzania has it all – the wildlife of the Serengeti, the majesty of Kilimanjaro and the white sands and sparkling azure seas of Zanzibar. But that’s not all. There’s so much more. Don’t worry if you’re overwhelmed by the choice, because we’ve used our expertise and top-class knowledge of our beautiful country to create some amazing adventures for you to mix and match. Why choose one experience when you can have it all? First spend an unforgettable week or so climbing through lush rainforest, cloudy montaine forest and alpine terrain to the ice-clad wilderness of rooftop of Africa itself, Kilimanjaro. Imagine yourself standing on that summit at daybreak. Venus is bright in the east and the sun is not yet visible but still painting the sky with the luminous colours of the dawn – mauve, peach and apricot-gold. 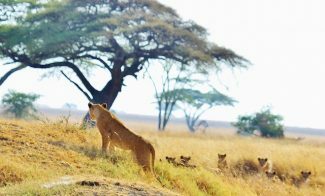 Then enjoy a guided safari amongst the stunning variety of wildlife in the golden Serengeti – perhaps you’ll witness the Great Migration, one of the natural wonders of the world. 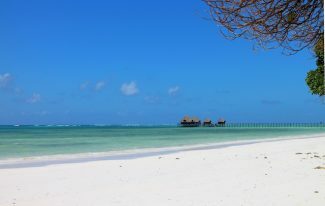 And, to finish, relax on our very own spice island, Zanzibar, for some world-class scuba diving, lazy snorkelling or just chilling out under the tropical sun. 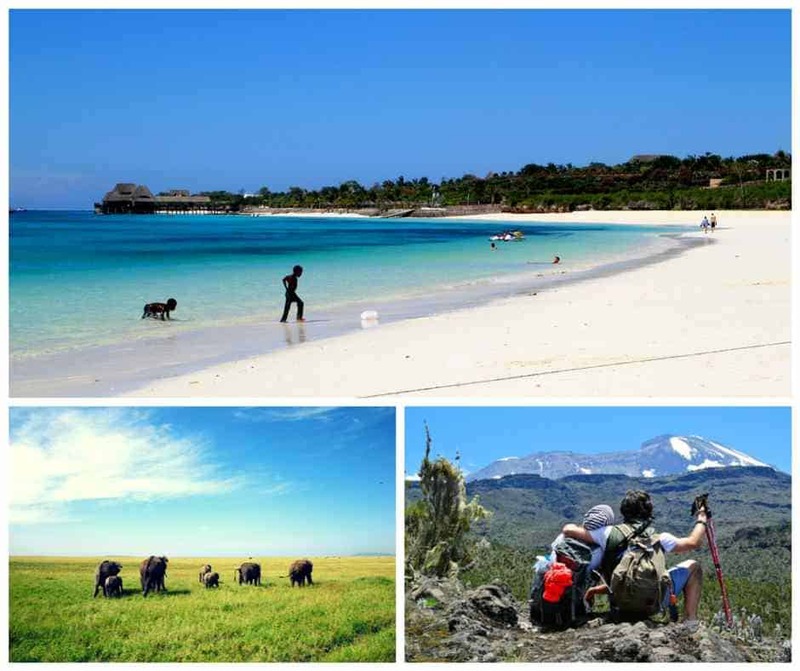 These are just some of Tanzania’s adventures. We can also take you to lesser-known and quieter national parks with all the elephant, lion, buffalo, hippo, giraffe and a myriad of other beautiful creatures to photograph, or just sit back and take in. We’ll help you witness the pink shimmer of a million flamingo at the Ngorongoro Crater, nature’s architecture built to support a perfect ecosystem of flora and fauna. 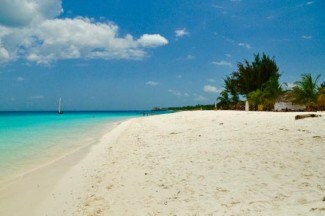 Tanzania is packed full of adventure and beauty, and it’s an ideal place to create a pick’n’mix holiday just for you. Like gentle hill walking and beaches? Not a problem. It’s the Usambara Mountains for you followed by a glittering white sand resort at Pangani on Tanzania’s tropical east coast. Want a long, lonely climb? No problem. 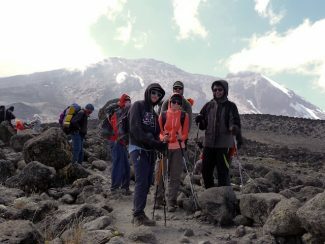 We’ll take you up Kilimanjaro the hard way. We love the Rongai Route. 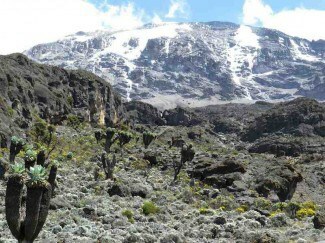 It’s the quietest and wildest of the Kilimanjaro climbing routes. Your legs and lungs will never forgive you. But your courage will. We’ll create that magical holiday mix that’s right for you. Just tell us what you’d like and we’ll design it. 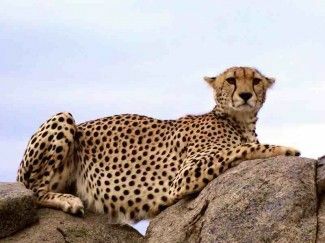 Our packaged Tanzanian holidays are full-service, which means we take care of your accommodation, transport and flights in Tanzania as well as safari, trekking, tours and day trips. Our local knowledge is second to none, and we’ve built up a network of reliable and very customer-focussed services across Tanzania. So from the moment our friendly driver collects you at dusty Kilimanjaro International Airport until you wave goodbye to Tanzania and its people, we’ll take care of everything. Our all-in-one holiday deals are especially affordable, because we pass on the savings we make to you. 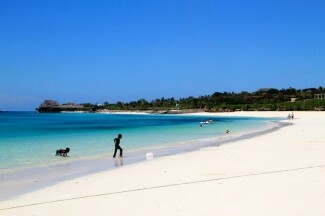 Your Tanzanian adventure is just around the corner. We’re looking forward to talking with you. This safari is operated together with our partner Mara Explorers. On request we can also organise this trip as a lodging safari.